The top two images are labelled “Female Quarters” and “Female Entrance”, though there are now no female patients at the hospital. The centre image is “Entrance”, and while the building is still standing it is now tucked away inside the wall. The “Male Quarters shown are still there and are still in use. The hospital is currently undergoing major renovation, so perhaps in the not too distant future even this will have changed its usage. I’m not quite sure where “The Terrace” was, but I suspect it has long since been incorporated into the main hospital and is no longer in existence. 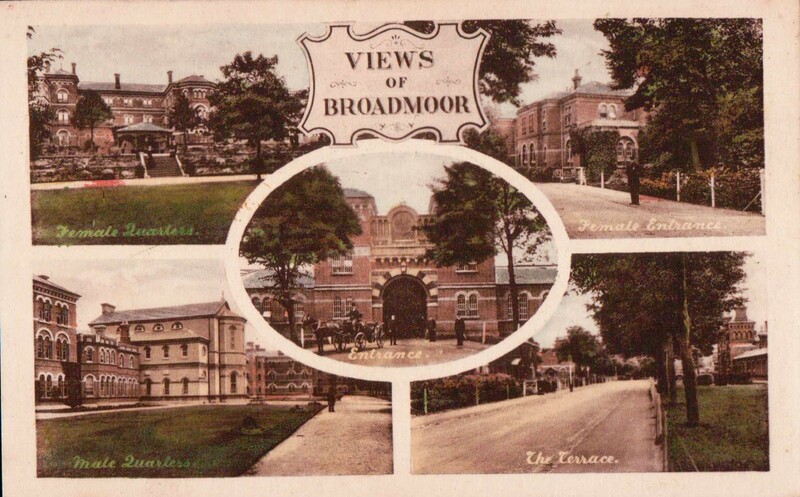 Top left picture shows York house airing court (garden) where the patients would come out with staff on dry days to get fresh air, some sat under the pavilion to shade from the sun, if they were on medication that caused photosensitivity.